Description: Learn about how Amazon Web Services (AWS) offers a cloud computing solution for businesses, non-profits, and governmental organizations with a flexible, highly scalable, and low-cost way to deliver their websites and web applications. 1. What is AWS (Amazon Web Services and why is it important? 2. What potential applications do you see for AWS and in what industries will this add the greatest value? This entry was posted in Amazon, Business Model, Cloud Computing, E-commerce, outsourcing and tagged Amazon, Amazon Web Services, AWS, cloud computing solution, e-commerce, governmental organizations, internet, software, technology, web applications on December 13, 2013 by nevis63. Description: Big Data is the next big thing in computing. This video explains Big Data characteristics, technologies and opportunities. Due to the issues raised by its volume, velocity and variety, Big Data requires new technology solutions. Currently leading the field is an open-source project from Apache called Hadoop. This is developing a software library for reliable, scalable, distributed computing systems capable of handling the Big Data deluge, and provides the first viable platform for Big Data analytics. Hadoop is already used by most Big Data pioneers. For example, LinkedIn currently uses Hadoop to generate over 100 billion personalized recommendations every week. 1. What is Big Data and why is it important? 2. What potential applications do you see for Big Data and in what industries will this add the greatest value? This entry was posted in Big Data, Business Model, Cloud Computing, Expert Systems, Neural Networks, quantum computers and tagged Big Data, hadoop, internet, IS in medicine on December 13, 2013 by nevis63. Description: When Spotify, the digital music company of the moment, announced this week an exclusive deal with Led Zeppelin and free access on mobile devices, it also reported impressive numbers. Its listeners have streamed 4.5 billion hours of music this year, and it has paid more than $1 billion in music royalties since its founding. Yet even as they have grown, streaming companies have encountered a stubborn problem: Music lovers will consume large amounts of music as long as it is free, but getting them to pay a monthly subscription has proved much more difficult. Pandora, the only publicly traded streaming company, delivers about 1.5 billion hours of music each month to more than 70 million users, but only about three million of them pay. The rest listen free but must endure advertising. Even though it has a market value of $5 billion, Pandora has yet to turn an annual profit. 1. 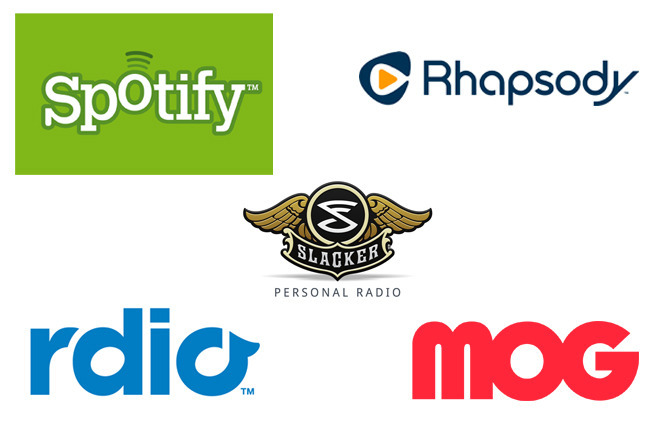 What are the various business models to revenue from online music? 2. Which business model has the best chance for success? Why? This entry was posted in Business Model, ethical dilemma, Social impact, social media, subscription music and tagged digital music company, music royalties, pandora, slacker, spotify on December 13, 2013 by nevis63.